The primary goal of a spinal surgery is that the patient is permanently painlessly movable into old age. In order to treat the diseased segment in the best possible way, the surgeon must restore the individual geometry of the spine as well as possible. 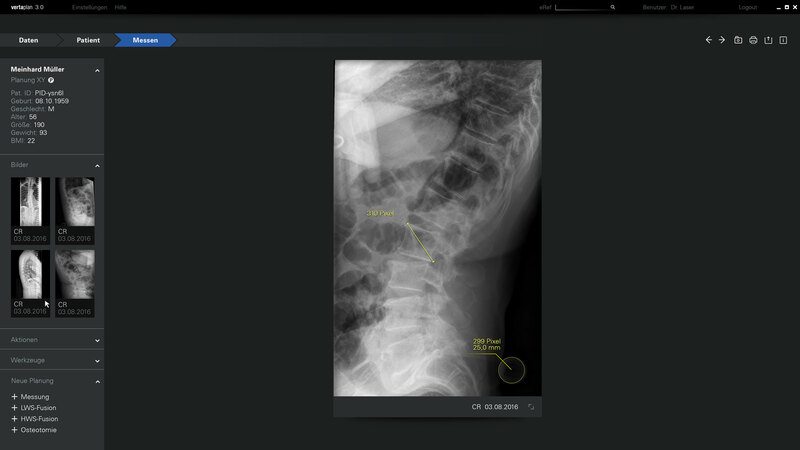 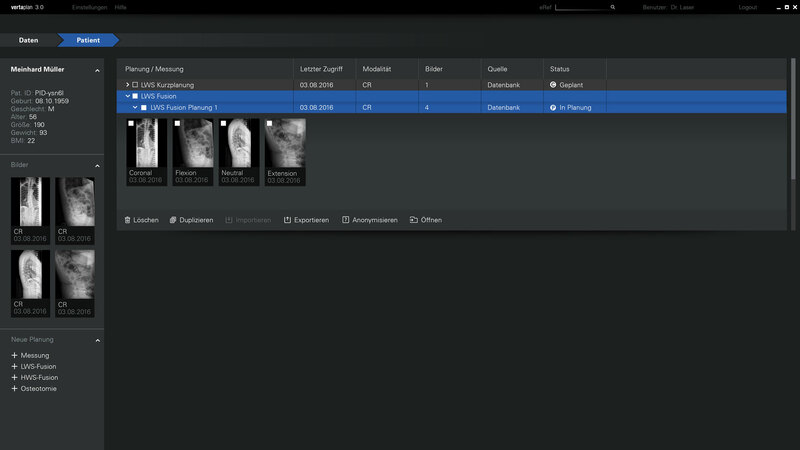 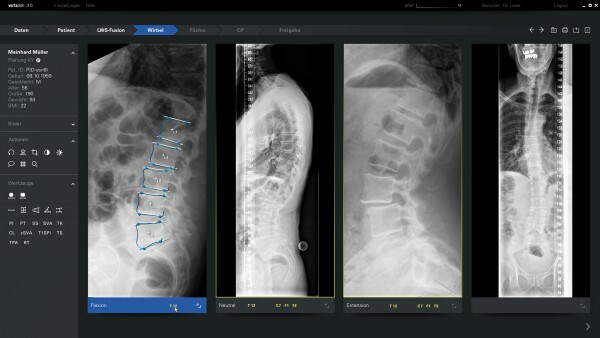 Vertaplan makes it possible to plan the operation software-based, to precisely adjust the spinal geometry and thus to restore the patient’s individual movement profile. 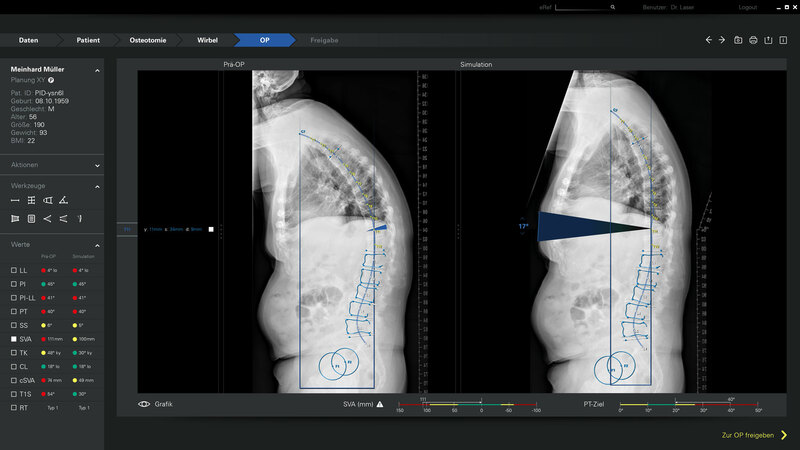 The solution: Optimally planned surgery and exactly set spine geometry. 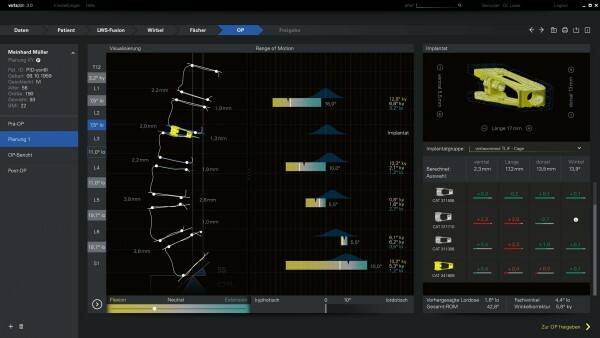 We developed a structurally and artistically optimized software interface for Spontech AG.